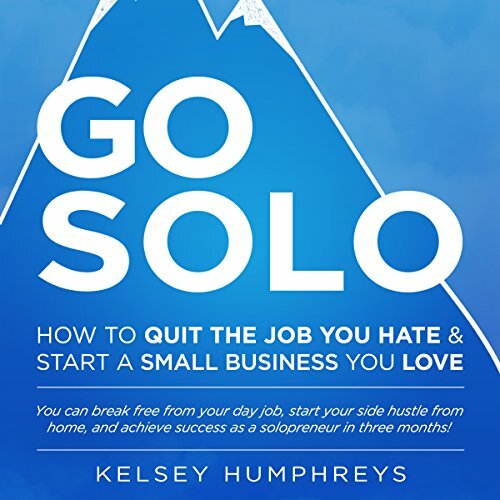 Showing results by author "Kelsey Humphreys"
How to Quit the Job You Hate and Start a Small Business You Love! You Can Break Free from Your Day Job, Start Your Side Hustle from Home, and Achieve Success as a Solopreneur! Have you been waiting to leave your suffocating day job? Have you been wondering if you should turn your side hustle or hobby into your own business? Have you struggled with how or when to launch? Go Solo has your answers. First, Humphreys tackles how to know you're picking the right business for you. This book is not about start ups, apps, or making easy money online.